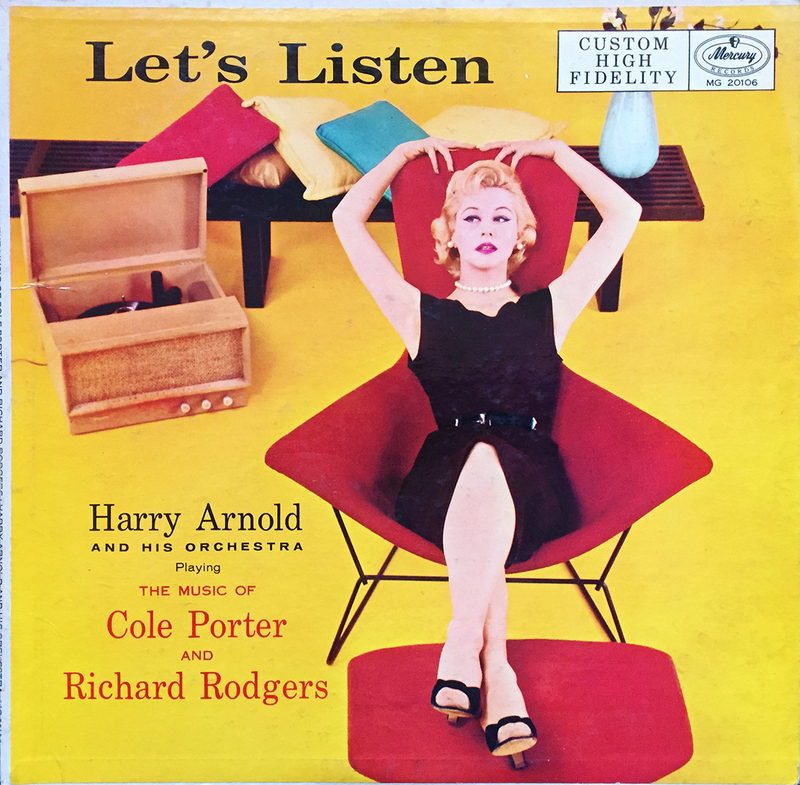 If you’re in the mood for a legs-up causal evening, alone, with loved ones, or even those you’d like to begin loving, try a few halves of Harry Arnold and his Orchestra as they elegantly and seductively jam through 12-tracks of Cole Porter and Richard Rodgers favorites on Let’s Listen, released by Mercury Records. Though the year is unknown, I’d guess and say this is a 1956 release, give or take a few years. Check it out if you can find it.